There are many different pool remodeling finishes available that will protect the investment you’ve made in your pool and also reflect your style. When choosing the perfect pool for your yard, there are countless decisions to make. One of the most exciting choices that you get to make is the finish for your pool. There are many different pool remodeling finishes available that will protect the investment you’ve made in your pool and also reflect your style. Pool tile is a very traditional finish, as it gives you a great deal of flexibility in terms of the colors and patterns that you incorporate while still remaining cost-effective. 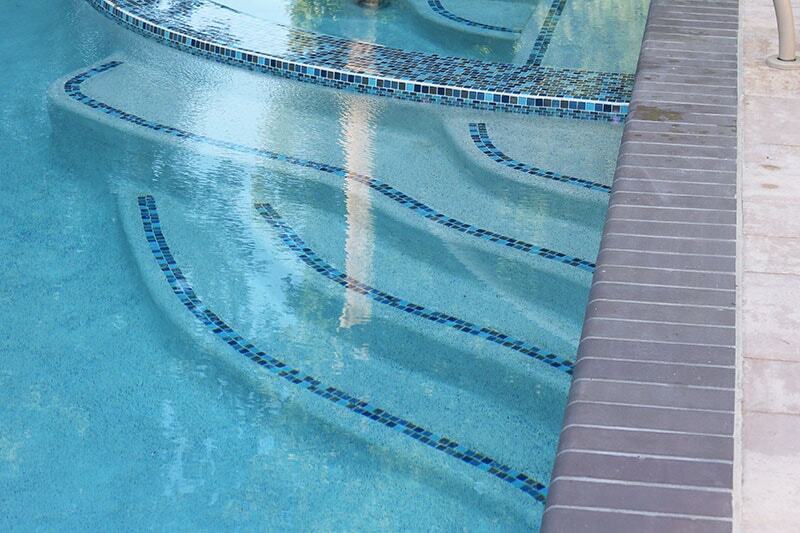 Pool tile is very durable, so you don’t need to worry about it easily cracking or chipping away. This pool remodeling finish also doesn’t need much maintenance beyond basic cleanings and re-grouting every few years. If you have the time on your hands, your pool tile could also be used to make a gorgeous mosaic on the bottom of your pool for a fun surprise. The most common pool finish is simple and plain pool plaster. This is the traditional finish when a homeowner doesn’t want to further customize their surface. Pool plaster is a mix of cement, aggregate, and water. It’s affordable and will serve you well for a long period of time with little maintenance. If you are on a tight budget, pool plaster is the best pool remodeling finish for you. Aggregate effects are a really unique way to add texture and beauty to your pool finish. These products are specially mixed with different iridescent and colorful features to make your pool a multi-faceted beauty. This entry was posted on Friday, October 27th, 2017 at 10:24 am. Both comments and pings are currently closed.